Game & Watch Kirby. 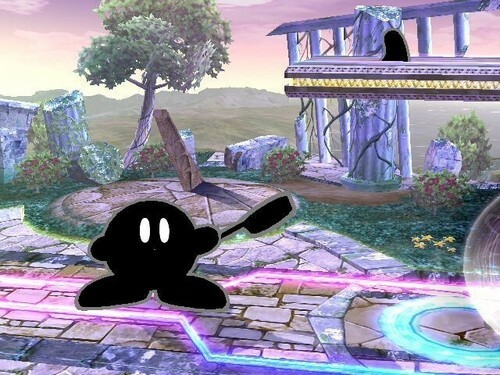 Kirby after inahling Mr. Game and Watch. Wallpaper and background images in the Super Smash Bros. Brawl club tagged: super smash bros. brawl mr. game and & watch kirby. This Super Smash Bros. Brawl photo might contain mitaani, mji eneo la tukio, mijini mazingira, jiji eneo, and mijini kuweka. I love him! Go Kirby!